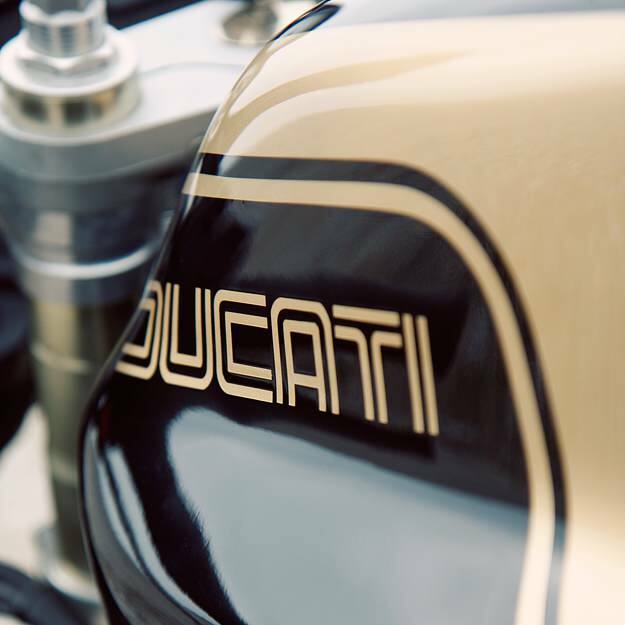 If you want a thoroughly modern Ducati with retro good looks, there’s an alternative to the Sport Classic range. 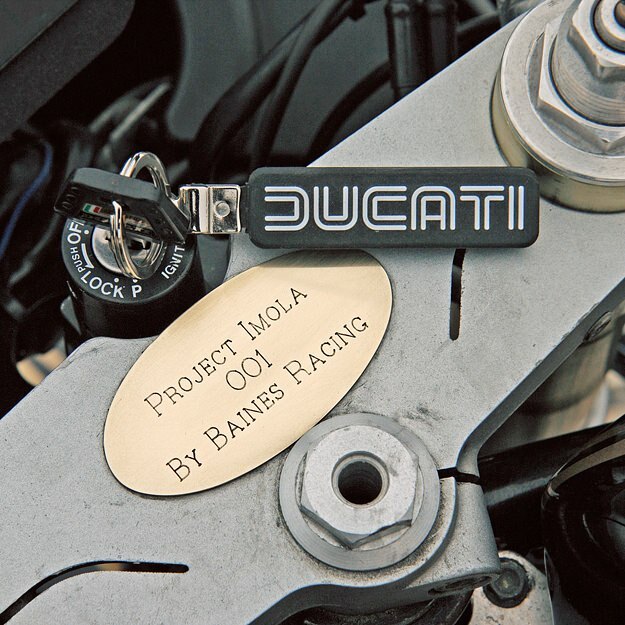 It’s the Baines Imola, and this is the first one ever built. 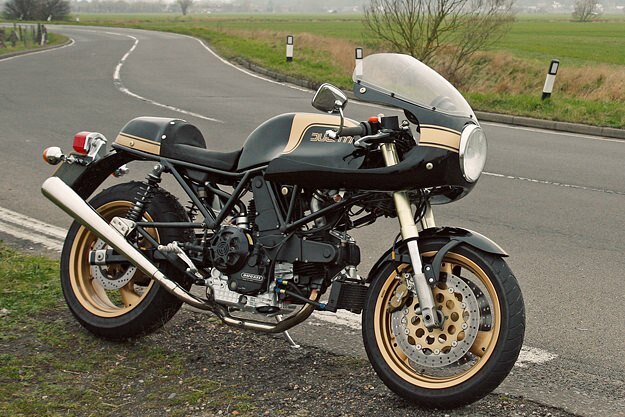 It’s the work of John Baines, the Silverstone-based Ducati racer and tuner. This bike is running a 1993 900 Supersport motor, and it’s also fitted with an original bevel Ducati fairing, seat and Conti-type pipes (check the sound in this video). Italian Motor Magazine editor Adam Bolton has ridden it, and reports: “The rate of acceleration is seriously quick and absolutely unexpected from a two-valve Ducati—open the throttle and it just takes off, no messing, no glitches and with plenty of torque”. That’s partly due to the light 168 kg kerb weight and compact frame. 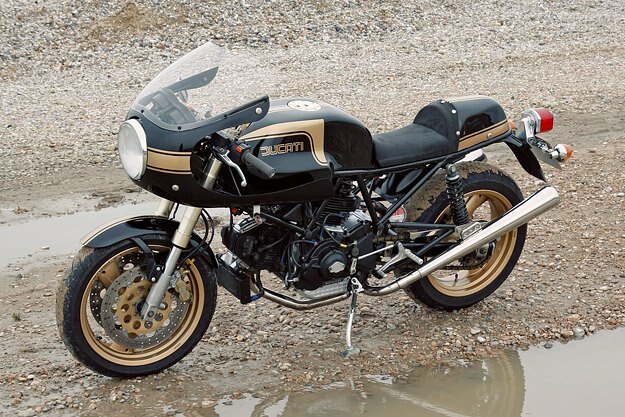 Baines based this frame on a 900 Supersport unit, but modified it—most notably with a reduced head angle to quicken the steering. The motor is also enhanced, with 11.5:1 compression Arias pistons, a port and polish job, and a Stage 2 Dynojet kit. The measured rear wheel HP is 83, but the bike is around 90 lbs (40 kg) lighter than a stock 900SS. 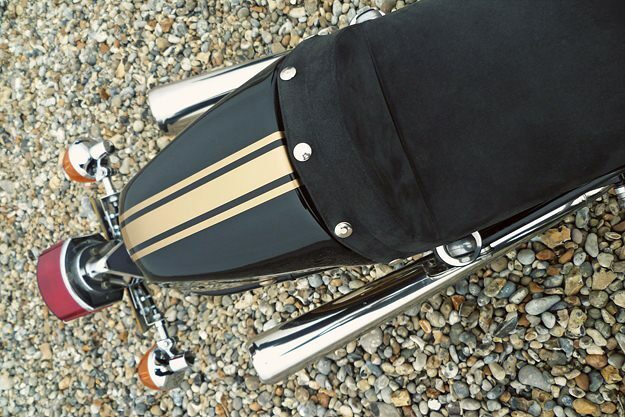 The Baines Imola was produced for just four years, stopping when the Sport Classic hit the showrooms in 2005. Just 38 were made—so you’ll need to keep a very, very close eye on eBay if you fancy one. 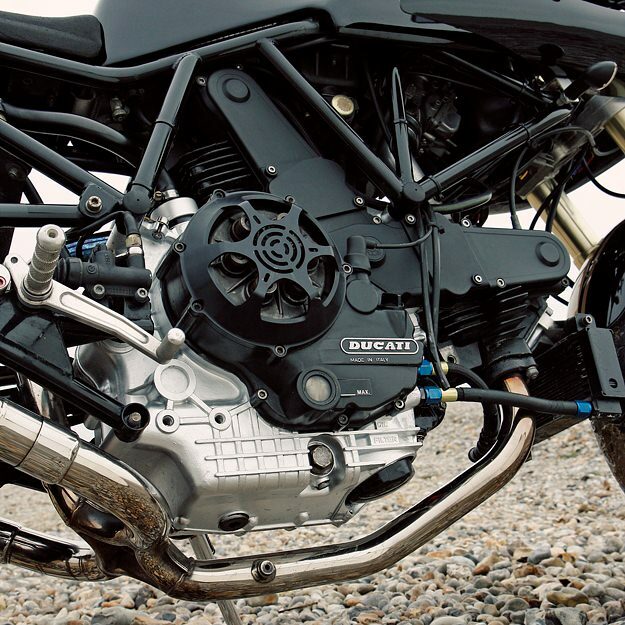 Check out Issue 4 of Italian Motor Magazine for more images of this bike—plus additional cafe racer goodness. Or better still, subscribe.